AVAILABLE NOW! 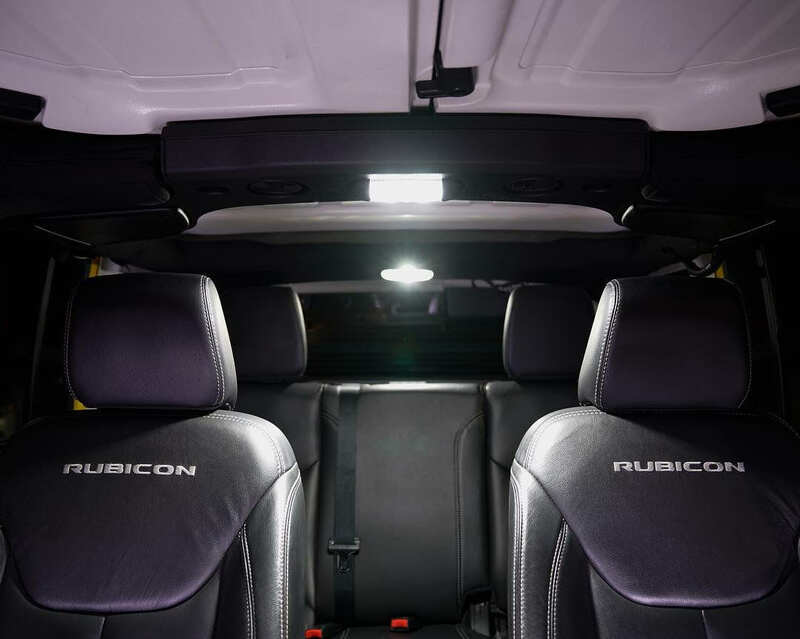 Jeep JK Wrangler Interior LED Bulb Kit! 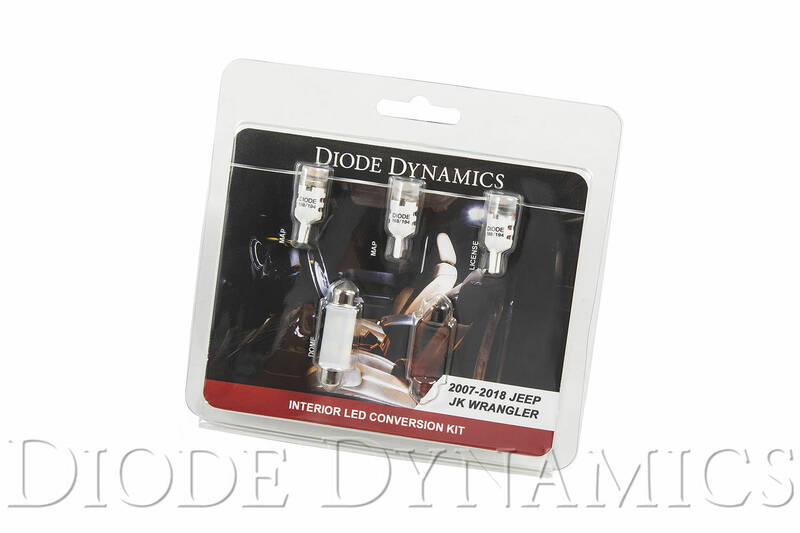 Diode Dynamics is excited to announce our new Interior LED Bulb Kit for the 2007-2018 Jeep JK Wrangler! 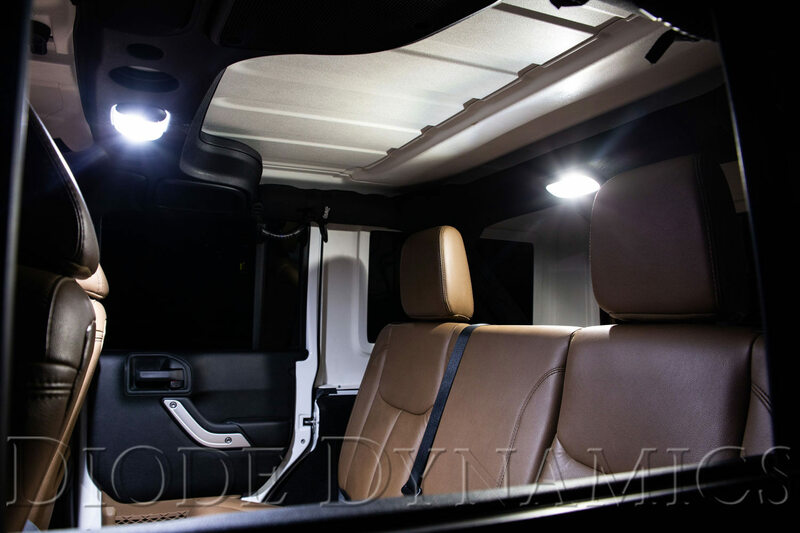 This Interior LED Bulb Kit features everything needed to upgrade the JK's map, dome, and license plate lights to LED, and is 100% plug-and-play! Available in multiple brightness levels and colors, including cool white, blue, and red, this LED bulb kit is the perfect interior lighting mod! From the factory, the JK Wrangler’s map, dome, and license plate lights leave many Jeep owners wanting better visibility. 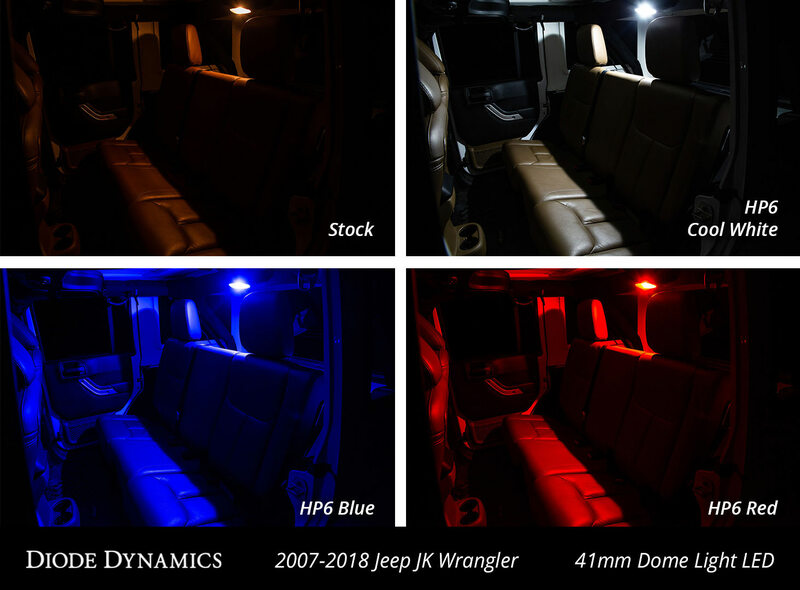 By replacing your JK’s yellowish incandescent bulbs with our LED upgrades, you’ll get dramatically improved light output, and a much more modern appearance! 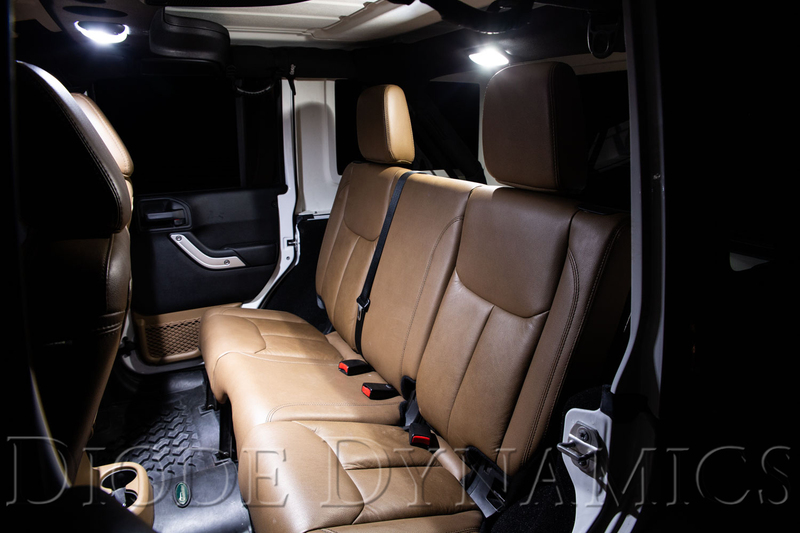 As with all Diode Dynamics products, this JL Wrangler Interior LED Bulb Kit is 100% designed and tested in the U.S.A, and are backed by our 3-year worry-free warranty! Want to see what else is available for your ride? Click here to check out all our LED upgrades!